I have always had trouble being still. When I was little I had an uncle who would trap me as I ran around my grandparents’ home during holiday gatherings and make me sit still on his lap for a full minute. I thought I would die! Of course, if I wiggled or fought he would start the time over again until I sat completely still for the entire time. I guess I really haven’t changed much as an adult. I don’t run through the house at family gatherings anymore, but I am rarely still. I always have to be doing something. If there’s action, I am usually in the midst of it. God is revealing to me how dangerous that can be in my life. If I keep myself busy, there is no time to be lonely and I don’t have to think about the things I wish were different about my life. However, keeping busy shuts out the One who has the solution to the loneliness. If we never take the time to be alone, we will never see that there is a solution to the loneliness in the midst of being alone. God is waiting for us to be still long enough to hear Him tell us how much He loves us, or to whisper His promises to us. But he is a gentleman. He rarely shouts above the noise and busyness of life to be heard by us, and unlike my uncle God won’t trap us and hold us on His lap until we stop struggling and listen to Him. He waits for us to come to Him and be still before Him. It’s more than reading His word or talking to Him in prayer. It’s becoming motionless and peaceful before our Lord, allowing Him to speak without expectations. It is only then that we can know the steps on the path He has laid out before us. And it is then that He can delight in his child and uphold us along that path. Lord, too often I get so caught up in the busyness of my life that I don’t allow myself to be still before You and allow You to pour Yourself into my life. I know in my head that You alone are enough for me. But I want to know it in my heart. Teach me to be motionless and peaceful in Your presence. Teach me to be still before You, and to rest in Your arms. Today is my dad’s 79th birthday. Dad never wanted much attention on his birthday. He always said it was “just another day”. The older I get the more I relate to that statement, but truly a birthday is not “just another day”. Birthdays are milestones, not only of another year of life gone by, but another year of accomplishments, opportunities and memories made, even if we keep them to ourselves. Dad’s 70th birthday was a memorable one. We threw him a surprise party (had he known about the bash he would have nixed the celebration!) and looking back on the photos from that day I see the joy on his face and the faces of family and friends. They are reminders of everyone visiting, eating and enjoying the time together, glad for the opportunity to show their love for Dad. It was certainly an occasion worth noting. How many of our days are occasions worth noting? 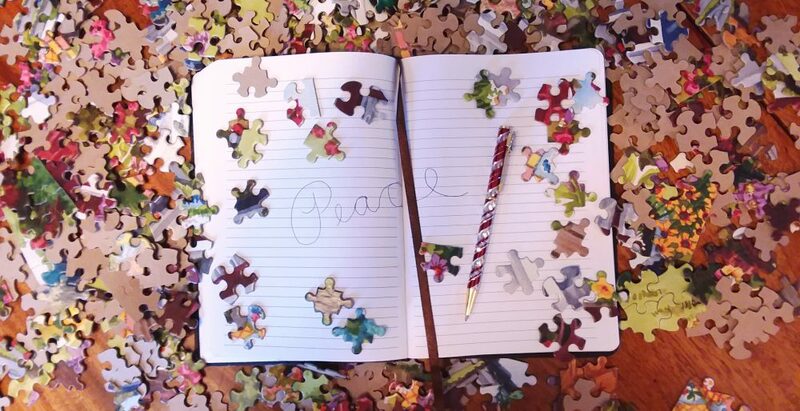 When your day is full of chaos and stress, is it a day you’d call noteworthy? Are the days that don’t go as you planned occasions worth remembering? Actually I’d submit that they are. These are the days that build us up and make us who we are. Perhaps they are not days worth hanging onto past a brief time of reflection, but they are tools for teaching us about the best person we can be. And when we present each day to the Lord and ask Him to use it for His glory, He will! We may never see how much our smile made someone’s day. We may not know how much the time we took to write a quick note to a friend or listen to a stranger was noteworthy to each of them. God can and WILL use our seemingly insignificant and frustrating days for His purpose when we trust them to Him. 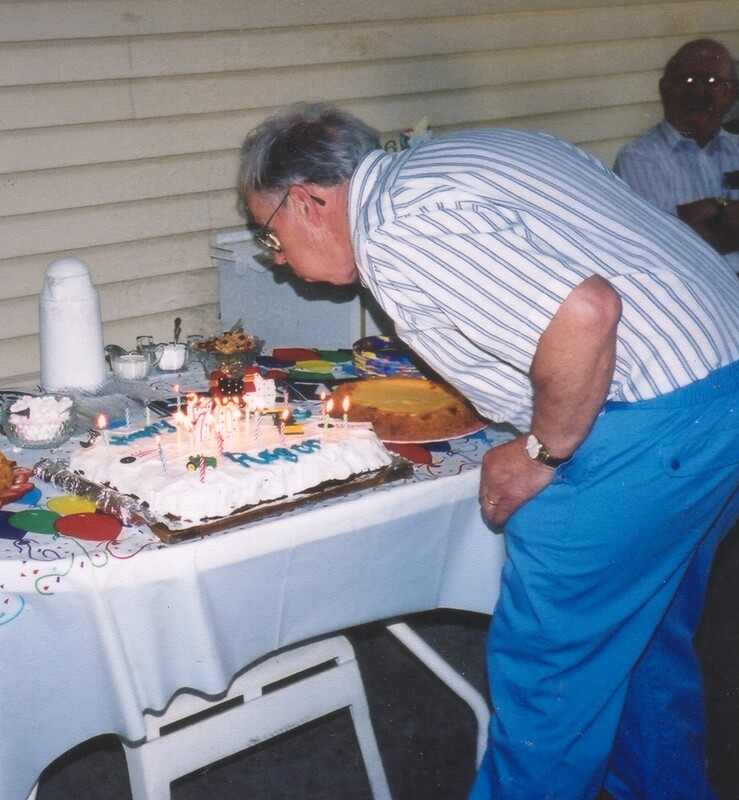 My dad left us four years ago and except for a note in my blog and birthday napkins at supper his birthday this year will go on without celebration. But that doesn’t mean that today is not a noteworthy day. I know God used me today to make someone’s day a little brighter. And I know He used you too…if you allowed Him. — even if you never see the results.